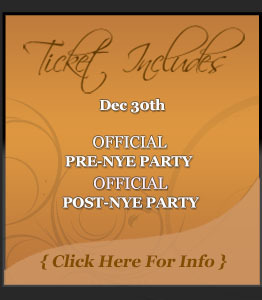 Please mention “NYE” when you get to the door for Free Admission & Private Hosted Cocktail Reception from 9:30pm – 11pm. Please contact us if you would like to do bottle service at the pre-party. Discounted Bottle Service has been setup. Bottles are only $150/bottle for Top Shelf Bottles (Grey Goose, Belvedere, Ciroc, etc).